Every little bit helps. Make a one-time donation today and every penny goes to fund our programming and purchasing those rarely-donated but desperately needed items. Provide children with year-long support. 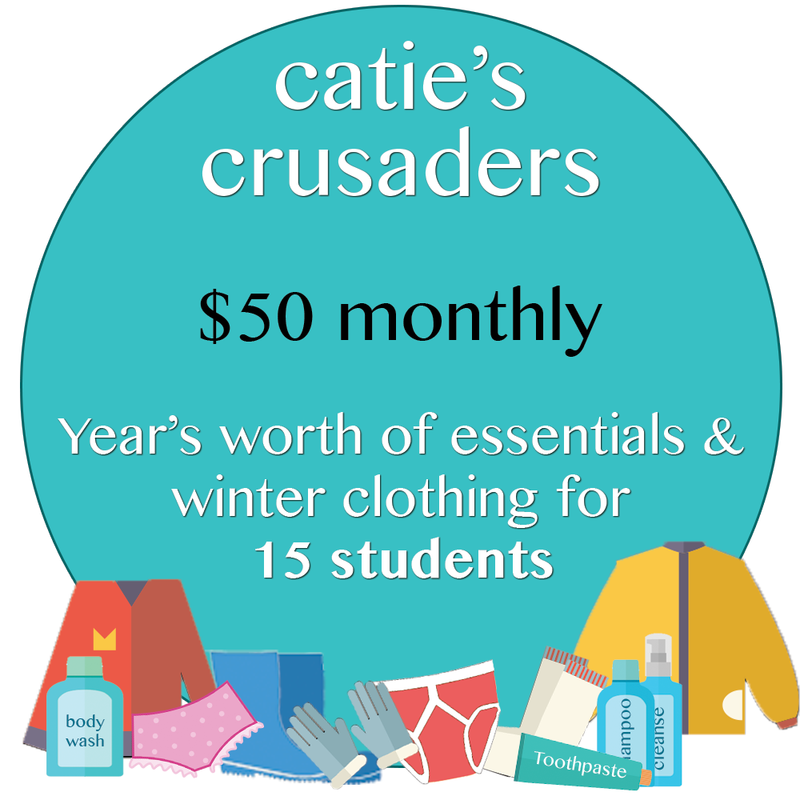 Be part of Catie's Circle! Children need our ongoing support. By being part of Catie's Circle and fulfilling this monthly commitment, you are making a year-long pledge to better the lives of children in your community. For as little as $15 per month, you can provide a year's supply of toiletries, undergarments and seasonally-appropriate clothing to children in your community. Which Circle works best for you?